❤️💗❤️ February Combo Challenge ❤️💗❤️ February combo challenge with @dredee1983 and @tara.renelle.roxy starts tomorrow! We will be giving away 3 prizes again this month! This month's moves focus on SPLITS. 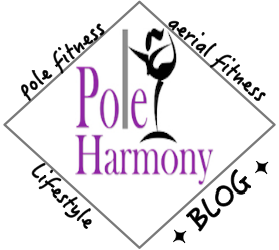 @tara.renelle.roxy has joined us again to give you a weekly yoga sequence or exercises to help improve your flexibility or strength for that week's pole tricks. To play, follow the steps below: 1. Repost the flyer and tag two friends to play. 2. Follow the hosts and sponsors and tag in all your entries! Example videos will be posted 2-3 days before each combo day. Keep in mind there are many names for pole moves so to do the combos for this specific challenge you must check @dredee1983’s videos before each combo. Also watch @tara.renelle.roxy weekly videos for your hip exercises or yoga sequence for each week. 3. Post a video of your combos using the moves listed in sequence for each odd numbered day of the month. If the moves are too advanced for you, do videos of prep work for each move - that still counts! Also post 1 weekly video with the yoga sequence or exercises provided by @tara.renelle.roxy. Use the hashtag #februarycombochallenge, and don't forget to tag the hosts and sponsors in all your entries! All entries must be received by March 3, 2017. Winners will be announced March 6, 2017. Winners must complete all combos and weekly exercises as best they can for their level and will be chosen based on fluidity of transitions and good form. . 🏆PRIZES🏆 1st place will receive a shirt from @darkside.fitness 2nd place will receive a jar of itac 3rd place will receive a set of therabands. ❤️💗❤️💗 Happy poling!